Carefully studying the guidelines and requirements of your university department, so that you know exactly what is expected. Discussing your selected topic with your advisor, so that it is properly identified and refined, and, of course, approved. 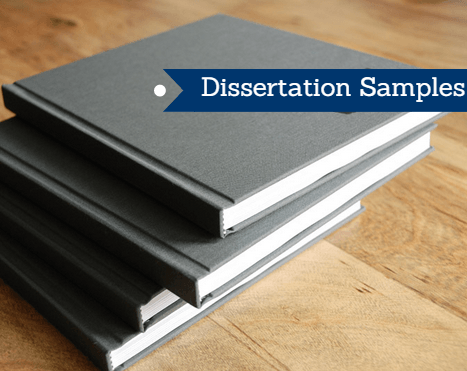 Locating sample dissertations, written by former students that are related to the topic you have chosen. These will provide great insight on format, style, and composition. The article on dissertation structure by ProEssayService.com is also of great help. Select those that are the most recent. Why? Because the most recent ones will have built upon earlier research that is also the most current and relevant. Be certain to identify if a dissertation is a quantitative or qualitative study. It will not help if your study is a qualitative one, and the sample you pull is a quantitative one. Many colleges and universities publish examples of dissertations on their department websites. However, the format may not be what is required by your department. On the other hand, if you are pulling samples to use a literature review as a guide for yours, then format will not matter. You will discover that dissertation samples pdf format is the most common format used, so be certain that you have Adobe Reader installed on your device. Be certain that the purpose of your study of other samples of dissertations is not to plagiarize. Many students have attempted this in the past, with very disastrous results. Even if you think that you can re-write an existing dissertation and call it your own, you are mistaken. These works are made available for research and reference not for use as your own, no matter how tempting this may be and no matter how much you think you can re-work one for your own purposes. If you are really having difficulty with your own dissertation, then you are far better off contacting a reputable writing service and seeking some professional assistance with your research and writing. You will then have a custom, original piece of writing that you can submit without fear of plagiarism charges. The other excellent purpose of locating examples is that you may be struggling with only a part of your project. Finding sample dissertation sections or chapters that can guide you in your own writing can be really helpful. You can see exactly how a part of an approved dissertation has been structured, organized, and composed. Moreover, ProEssayService has the samples of dissertations on various fields of study to help the students - Dissertation Life of William Jay, Global Governance On Refugees Issues, Emergency Room Antibiotic Prescription, In-n-out Burger Book Analysis and others. Writing a dissertation can be a stressful experience, especially if you have numerous other obligation that are eating away at your time. It is quite common for students to get professional help with their dissertations, and there is no shame in that, nor is it a reflection on your intelligence. Some students “sail” through these projects; others do not. It is a matter of everyone having different academic strengths and weaknesses. Rather than let the stress overwhelm you, get some help.